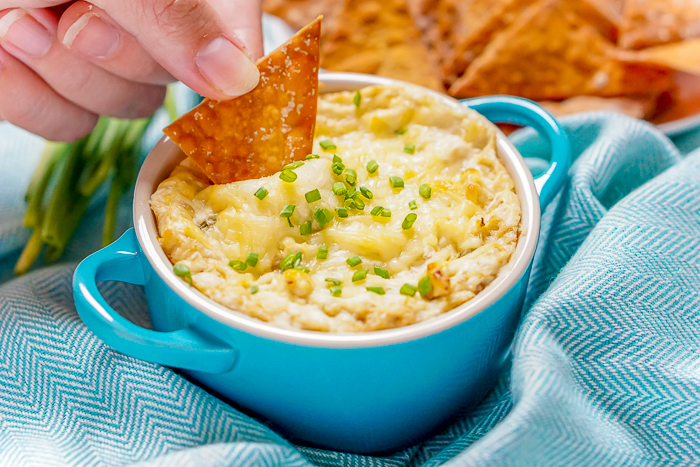 Creamy Crab Rangoon Dip with Homemade Wonton Chips is great for Game Day Food and Holiday Appetizers! Fall is right around the corner, which means pumpkin and apple everything, comfort food dinners, and hot dips for game day and holiday parties! 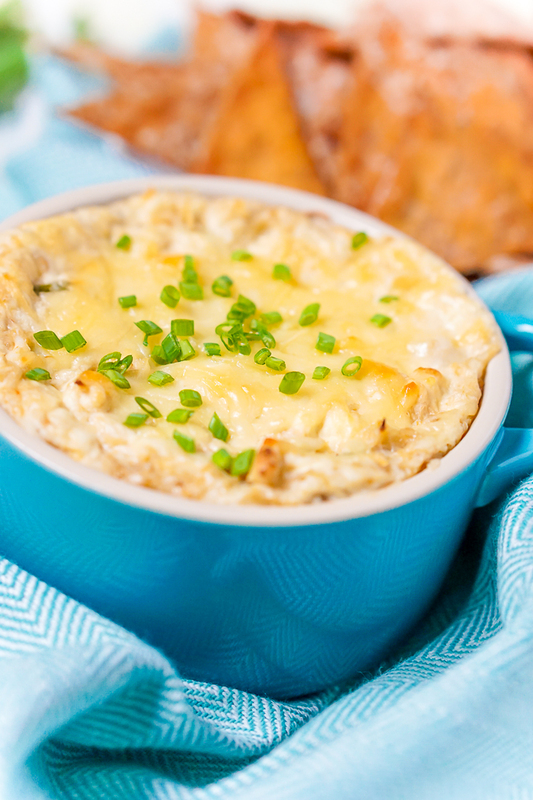 So I’m kicking us off here on The Love Nerds with a Creamy Crab Rangoon Dip with Wonton Chips. Doesn’t that sound fun? Plus, with only 5 key ingredients and just a few more spices, you can whip it up in no time for guests. Making Wonton Chips to go along with the dip doesn’t take long either, but it does make a big impact. All you need to do is cut the Wonton sheets into triangles, put on a cookie sheet, spray or brush with a little olive oil and then bake for around 5 minutes or until golden brown. You will want to start with less time and add more if needed as they can quickly burn being so thin. But less than 10 minutes of total effort and your guests will be impressed! 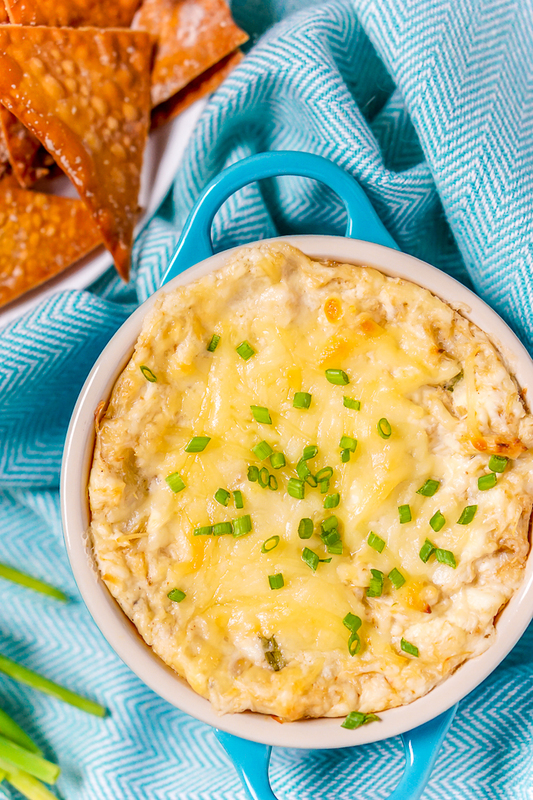 Another great thing about this Crab Rangoon Dip is the crab itself. Did you know that eating seafood twice a week can support your heart and brain health? Knowing this, Bryan and I are taking the Healthy Heart Pledge with Seafood Nutrition Partnership which means we are eating more seafood and supplementing with Omega-3s. In fact, the USDA recommends eating seafood twice a week and studies have found that eating seafood two to three times per week reduces the risk of death from any health-related cause. Those are pretty compelling reasons to add more seafood into a weekly diet. For some reason, seafood tends to intimidate cooks though, but it shouldn’t! 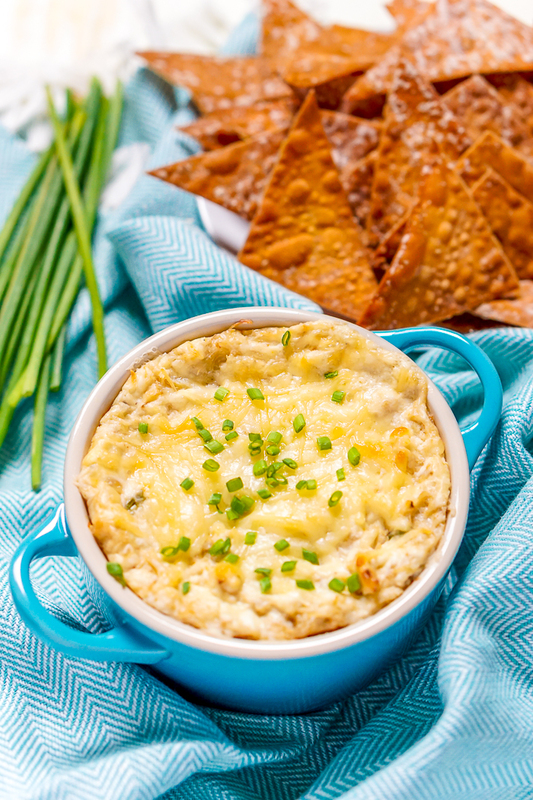 There are lots of amazing seafood recipes out there for any meal of the day, including appetizers like my Crab Rangoon Dip. I promise I will be sharing at least one more seafood recipe for you all soon as part of our own Healthy Heart Pledge, and my goal will be to provide you a super simple seafood dinner recipe. In the meantime, you will also want to check out the Seafood Nutrition Partnership 2016 Recipe Sweepstakes which is running through October 21st. To enter, share a photo of your seafood dish that uses 5 ingredients or less (not including spices or garnishes) on Twitter or Instagram using the hashtags #HealthyHeartPledge and #SNPSweepstakes. A total of ten winners will be randomly selected to win a $250 gift card. Winners will be announced at SNPSweepstakes.com and on Instagram and Twitter, so you will want to make sure you are following along. WILL YOU JOIN US IN THE HEALTHY HEART PLEDGE? !